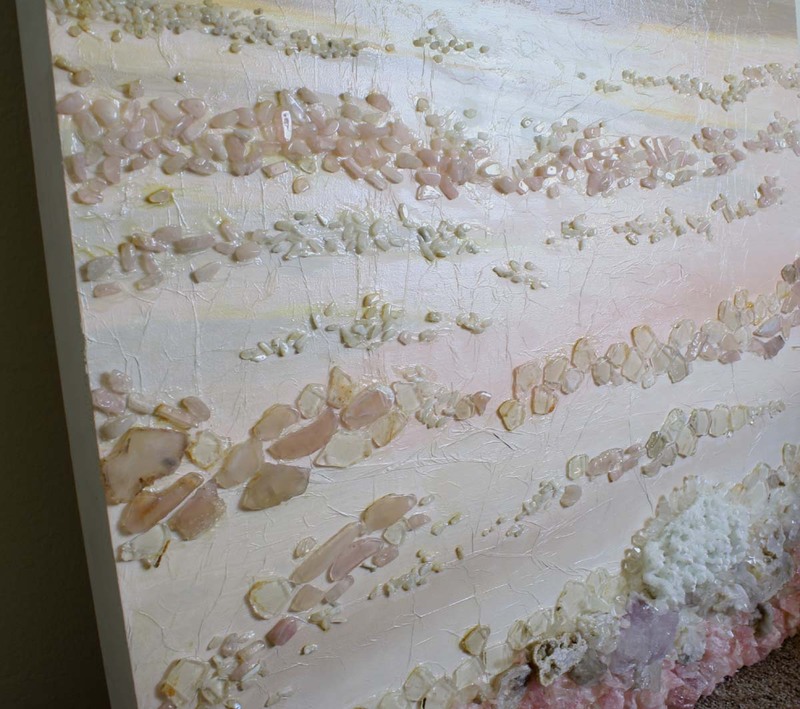 This semi precious stone painting was inspired by one of my favorite stones; rose quartz. 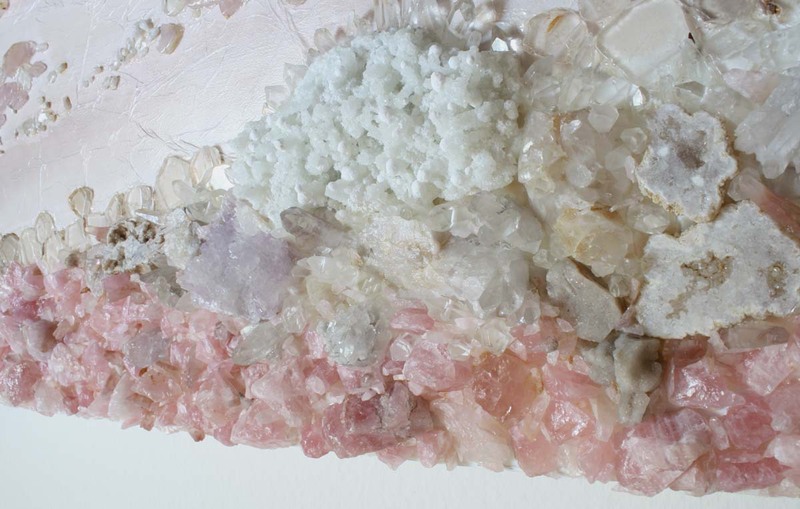 I love it’s simplistic, light, soft color, and its certain feminine beauty and qualities I feel the stone has. 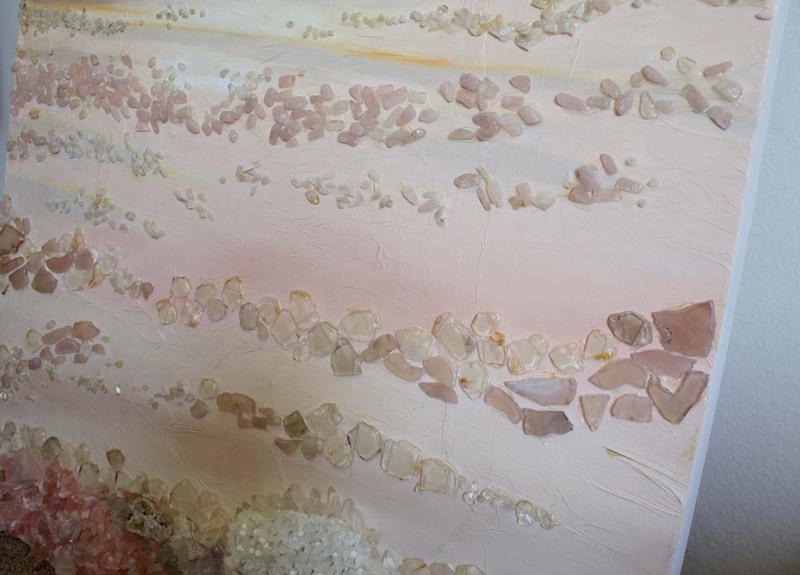 I found the rose quartz in Estes Park Colorado and had to use it in a painting. 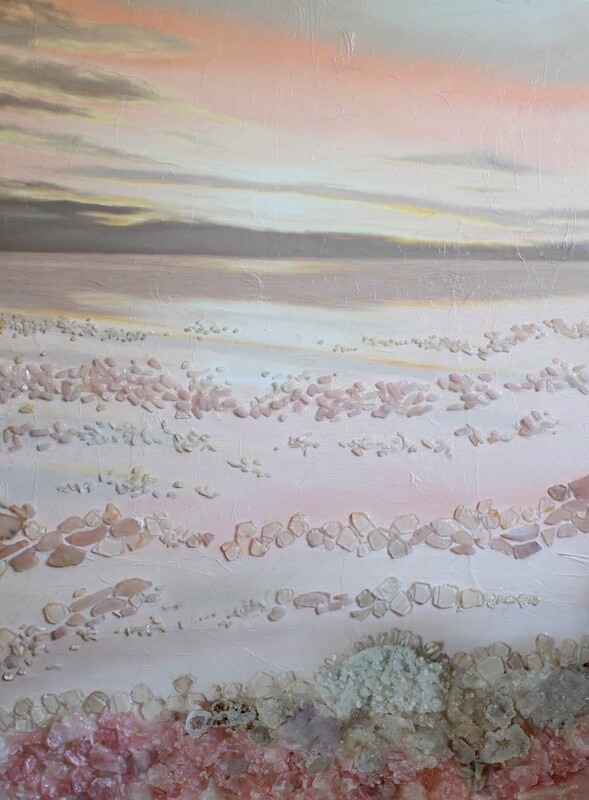 I wanted this painting to have the feel of what I feel with rose quartz, serine, soft, calming; thus the name of the painting “Tranquility”. 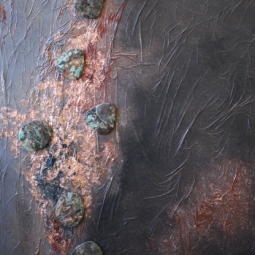 I wanted you to feel that when you look at this piece and have the stones generate that while you are in the room with them. 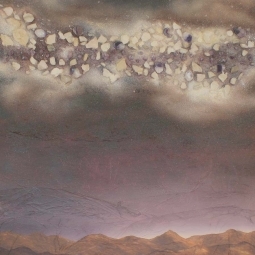 I love the softness in the sky and underneath and then the hard and sharpness of the stones on top which I think creates more depth to this piece while giving you a feeling of peace. 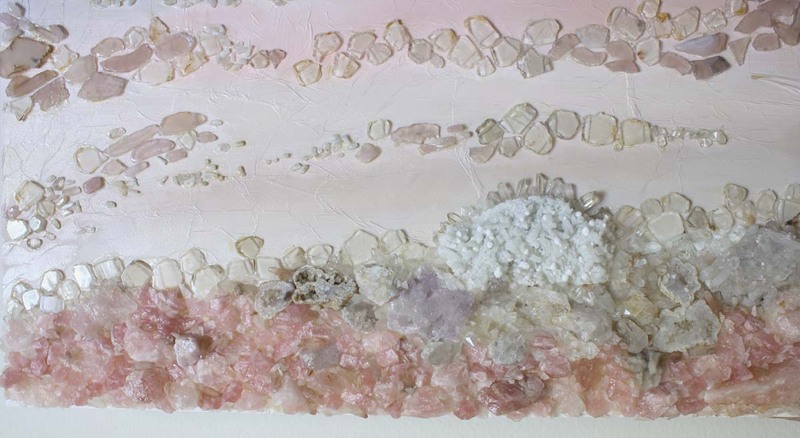 Rose Quartz; known as the ‘love stone’. Generates the strong vibration of unconditional love, joy, warmth, relationships, and healing. Great for the heart chakra. Clear Quartz; have been a source of Light to mankind and known as the “master healer” and will amplify energy and thought, as well as the effect of other crystals. It absorbs, stores, releases and regulates energy. 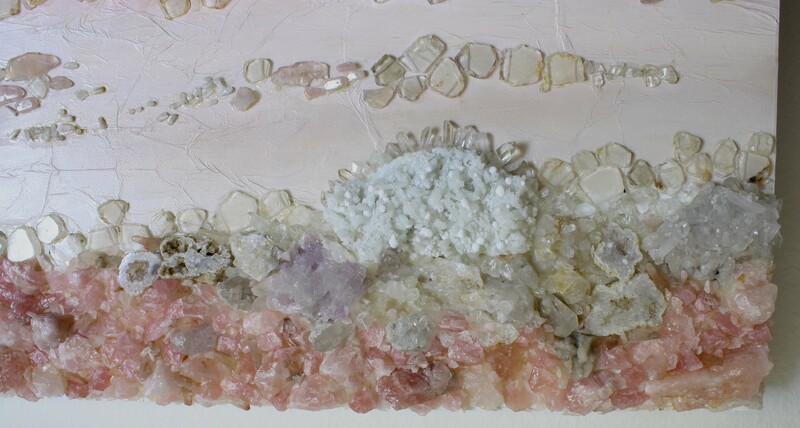 Clear Quartz draws off negative energy of all kinds, neutralizing background radiation, including electromagnetic smog or petrochemical emanations. It balances and revitalizes the physical, mental, emotional and spiritual planes. Cleanses and enhances the organs and subtle bodies and acts as a deep soul cleanser, connecting the physical dimension with the mind. Clear Quartz enhances psychic abilities. It aids concentration and unlocks memory. Stimulates the immune system and brings the body into balance. Clear Quartz (Crystal Quartz, Rock Crystal) harmonizes all the chakras and aligns the subtle bodies. 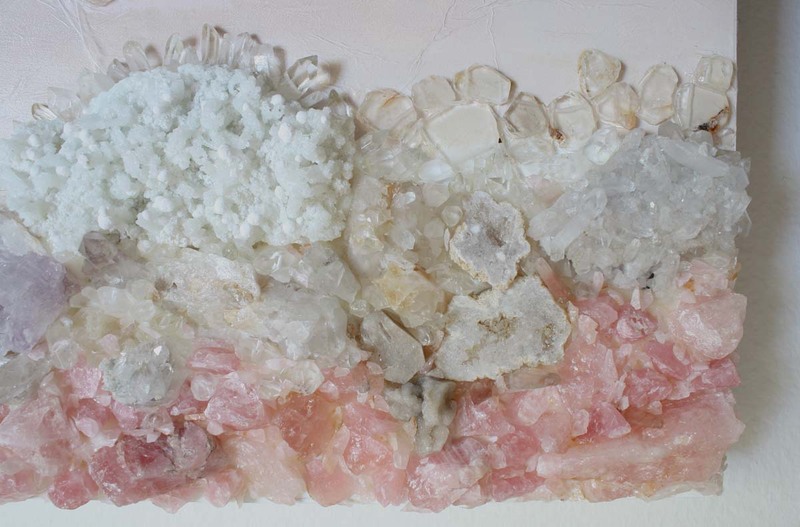 Zeolite; (large white stone at the bottom); natural volcanic minerals that are mined in certain parts of the world. 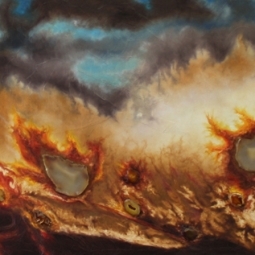 They are formed by a chemical reaction between the ash from the volcano and the salt from the sea, amazing minerals like zeolites are formed in the hardened lava over the course of thousands of years. 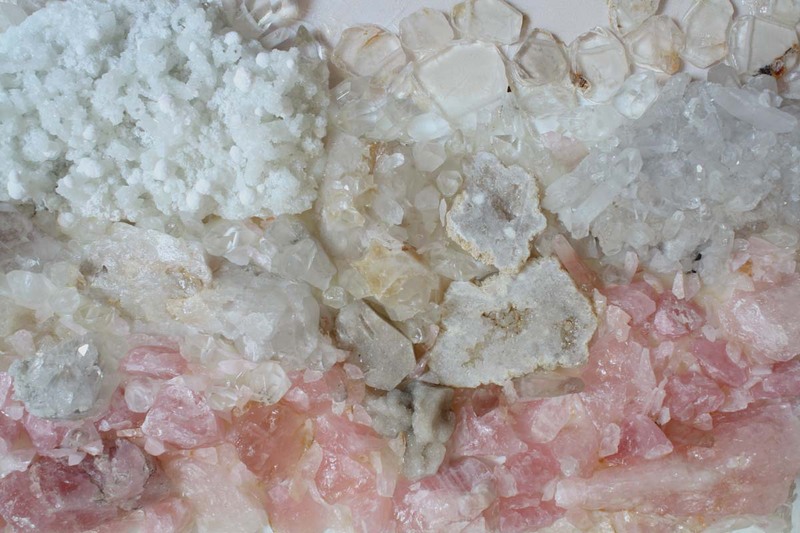 Zeolites are extraordinarily helpful for absorbing and removing toxins, whether it be in the environment or in a person.